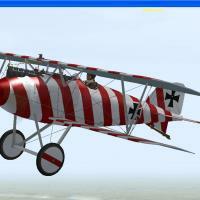 Josef Loeser Albatros D3 skin for Canvas Knights game. Unzip with folder names on, go inside the ( ALBD3RW ) folder and drag the ( Loeser ) folder into your CK game vehicles, Albatros_D3, skins folder. Hope you all enjoy the new skin.